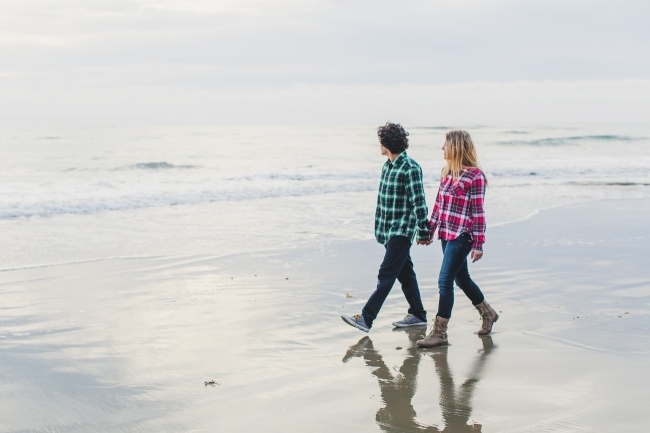 Meagan and Mark’s engagement session in Ventura was so much fun! The day was overcast and cool which led to one of the most epic sunsets I’ve seen in a while. Meagan and Mark are both huge animal lovers and I was so excited to meet their four super cute pups, Tahoe, Malibu, Rylie and Stella! Their four cuties definitely keep them busy and I love how each of their dogs have such distinct personalities which you can especially see as they interact with each other. 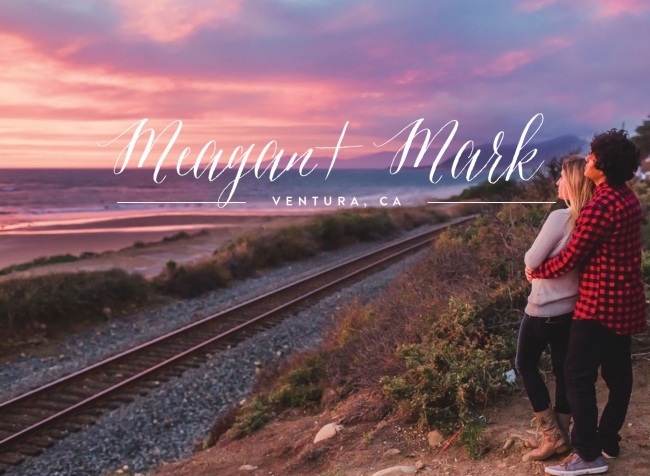 We started the shoot at a popular lookout point in Ventura and then we ended at a beach that Meagan and Mark visit all the time. I hope you enjoy just a few of my favorite images from their session and get ready for this epic sunset! I LOVE THIS NEXT ONE!!! I love Meagan’s ring! So pretty! Megan and Mark with their cute pup Tahoe! I don’t think I’ve ever seen a happier dog to be at the beach! Meagan and Mark with Stella and Tahoe. Stella and Tahoe are the calm ones of the four, so we were able to get a few cute sitting pictures with them. Megan and Mark with Rylie and Malibu! Rylie and Malibu have so much energy and boy are they cute!! Congratulations Meagan and Mark!!! I can’t wait for your wedding!